I came down the hall Monday morning to wash my breakfast dishes and this is what I saw. Poor Misha was suffering from a doggie sleepover hangover. 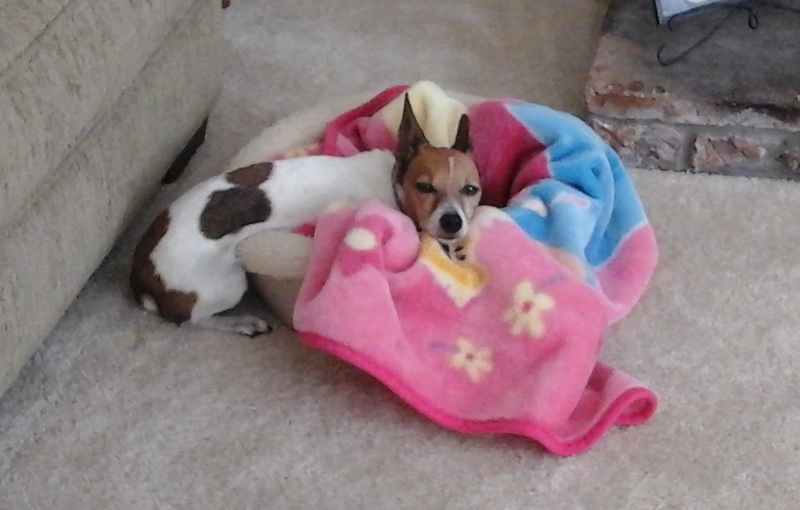 She was so exhausted she didn’t care if she got all the way in her dog bed or not. She was like this for about 10-15 minutes before she moved to the floor where things were more level. Aw, she’s adorable! Isn’t it funny how they sleep in such weird positions sometimes? Elaine, they sure do! One place you’ll never find Misha sleeping is the hard wood floor. It’s too cold. Oh, my… that looks a bit uncomfortable!